This article was originally published in the April 16, 2017, edition of the Sun. If the hockey team were still Rucker’s only connection to the Heart of the Commonwealth, that description might well still suffice. However, in the past 18 months Rucker’s portfolio and profile in Worcester have expanded dramatically. I can walk around downtown Portland for five hours and not get bored. I’m not sure you could do that on Main Street right now in Worcester. I think you’re going to get bored pretty quick; there’s not enough stuff to do. 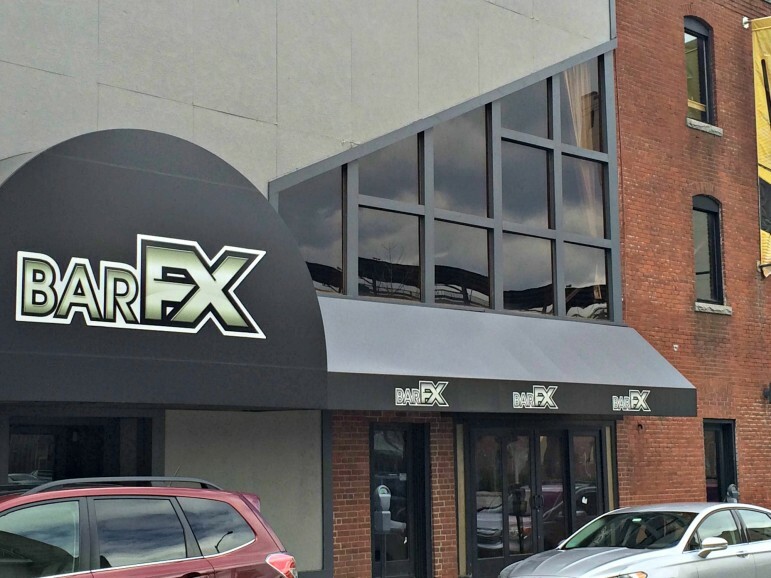 That same week, Rucker confirmed he would partner with Marathon Sports Group and the Worcester Business Development Corporation to construct a multipurpose ice rink facility on the site of the former PresMet facility at Harding and Winter streets in the Canal District. Rucker’s involvement jump-started the $15 million-$18 million project. An artist’s rendering of the planned Canal District dual hockey rink complex. The groundbreaking took place in May, and construction began in October. 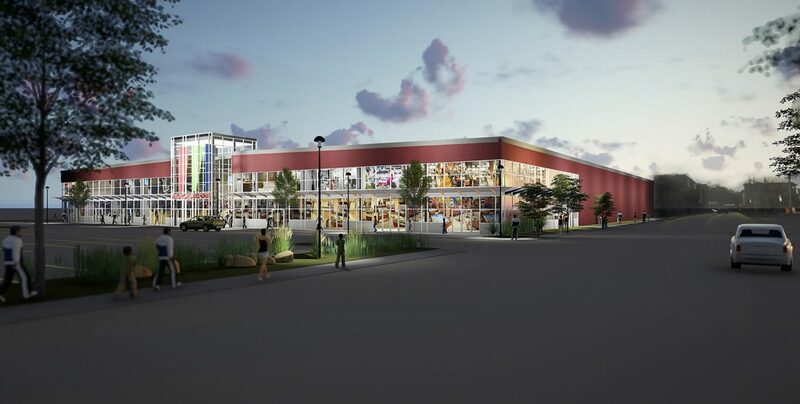 The Worcester Ice Center will include two rinks, two restaurants (Nonna’s Kitchen and Nonna’s Cafe) operated by Niche Hospitality, a physical therapy center operated by Reliant Medical Group, retail shops, and a strength training facility. Rucker expanded his footprint in the Canal District in September 2016 by purchasing 3.5 acres around the rink complex for $2.1 million. The land included the former St. John’s High School and The Compass Tavern. If granted, Rucker’s application for a demolition waiver delay from the Worcester Historical Commission would pave the way for the demolition of the former high school. Finally, in December, Rucker purchased for $2.8 million the Bowditch & Dewey building at 311 Main St., plus the parking lot bordered by MLK Boulevard and Commercial and Exchange streets. 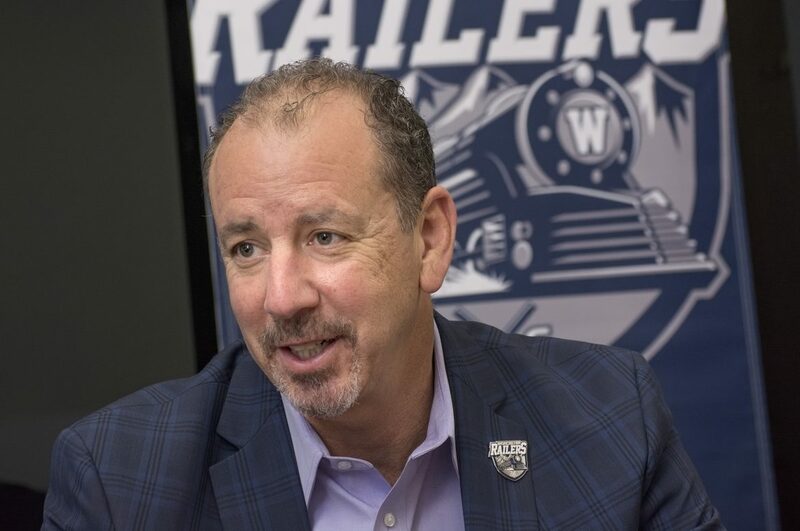 In addition to his roles as the owner of a hockey team, Rucker’s multimillion-dollar investments in Worcester have made him a public figure and one of the faces of Worcester’s resurgence. Inasmuch as Rucker has adopted Worcester, the city has adopted him as one of its own. “Cliff, first and foremost, is a good person, a good family man, but he’s also a very accomplished businessman,” Murray said. “He knows how to quickly analyze a situation. He’s built a number of businesses, so he gets it. Worcester Sun sat down with Rucker for a wide-ranging conversation in which he discussed, among other things, becoming a public figure for the first time in his professional life, becoming part of a Worcester community, his expanding role in the revitalization of Worcester, his goals for the Railers, the future of The Compass Tavern and the site of the former St. John’s High, and what he considers the true metrics for success. In October 2015, about a year and half ago, you announced your intention to bring hockey back to Worcester. You’re now about six months from having the puck dropped. Tell us about the part of the journey you’ve completed and the part that remains. “I think it’s a very significant undertaking at many levels. It started out as really an idea, a vision, and I had never done it before. You don’t even know what you don’t know. And that would include what’s left. Because I’ve never done this before, I’m not certain what’s left. “How much work it’s been. People keep asking me all of the time if I’m having fun. I’m, like, ‘What’s your definition of fun?’ And I keep telling them it’s a lot of work. I think it will feel a little bit different once we get into the season. But that’s what’s surprised me the most. When you say “support from the community,” what do you mean? “It’s people like you, the media, that have been very supportive of what we’re doing. They recognize that we’re trying to do good things in the community. It’s been the city leaders. They’ve been very supportive. When issues have come up, large and small, they’ve collaborated and worked together to get through that. “And then it’s individuals, things like social media. We’re not getting trashed on social media. I read that stuff, like everybody. I’d like to think I have a thick skin but I’m not sure that I do. It’s hurtful when people say bad things. It’s impactful when they say supportive things. You hadn’t done anything this public before, had you? 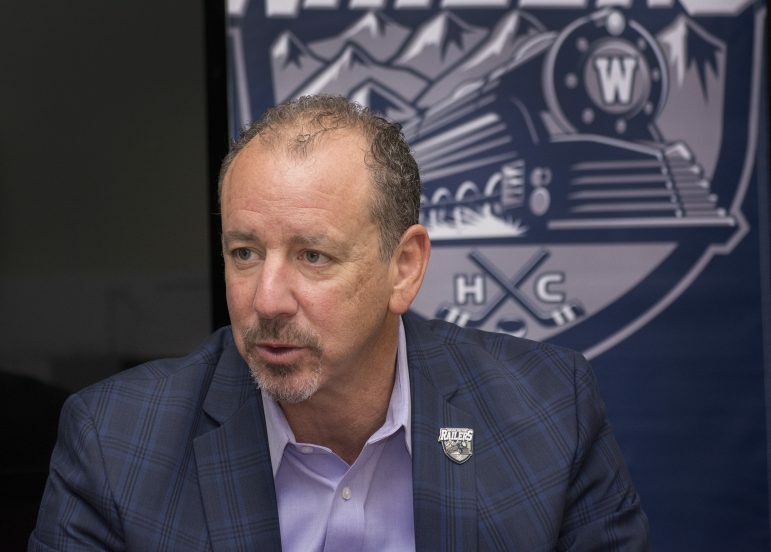 You made a couple of decisions early on that were key: ECHL rather than AHL, and branding the Railers as a hockey club. Tell us about how you made those decisions then, and what you think of those now. “I feel good about both decisions. 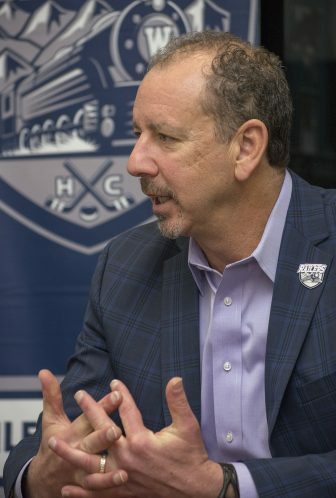 “Originally I looked at an AHL team, two actually. I knew nothing about minor league sports or minor league hockey. What I learned is that the models are very different. In the AHL, the players, the coaches, all the hockey personnel are under contract to the NHL team, so you as an owner, essentially, are limited to the business aspect of it. If I really wanted to impact the community, owning a business didn’t seem to be the right model. The offshoot of that is we want to put a good hockey product out there — that’s really important. The ECHL has NHL affiliates, which will allow you to get NHL-caliber players, but it’s about a third of the team, so two-thirds of the team is under contract to you, one-third of the team in under contract to an NHL club. That mix had a nice appeal to me. 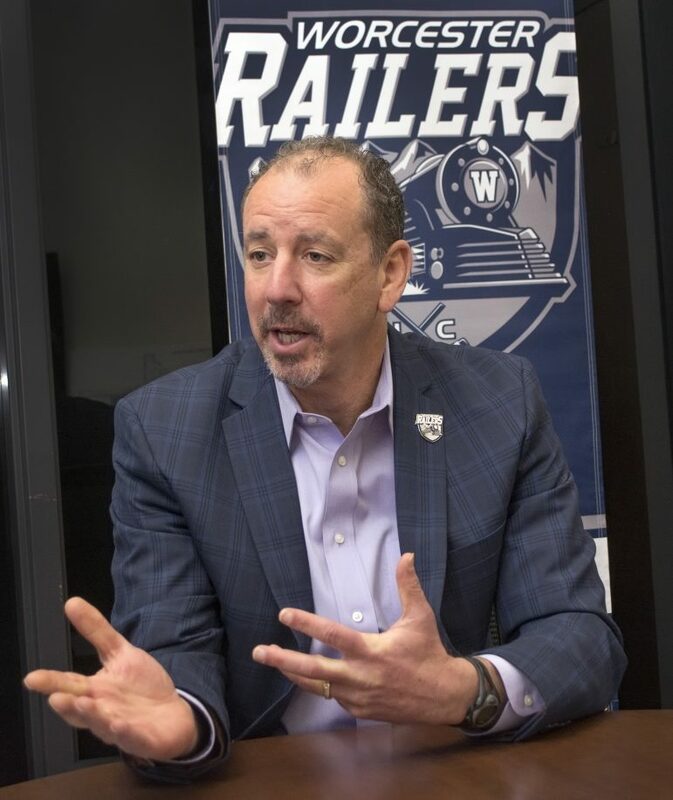 As far as the Railers go, there’s corporate support and community support. Your goal was 1,500 season tickets and $1 million in corporate sponsorships. Where are you in terms of each, and where did you think you’d be? “Any good entrepreneur has to buy into his own vision, otherwise what are you doing? From the moment I set those goals, I thought I would achieve or exceed, otherwise don’t do it. “On season-ticket sales, we’re a little shy of 1,300 right now. There is no question that we’ll exceed 1,500 in my mind; we have six months to go. … I’m very grateful to those people who stepped up and came in early. I’m very, very confident that we’ll exceed the 1,500. In the past 12 months you’ve purchased 90 Commercial St., you’ve purchased the land that holds the former St. John’s High School and Compass Tavern, you’ve become the driving force behind the Worcester Ice Center, and have purchased 303-311 Main St. and affiliated properties. Were these investments part of the original plan, or has this been an evolution of thought? “Definitely not part of the original plan, per se. The original plan was to come in here, start a professional hockey team and be a part of the community. Tactically, it wasn’t part of the plan. “Good businesspeople have to take advantage of opportunities when they present themselves. They have to be willing to take risk. There’s no reward without risk. As opportunities arose, that aspect of my pathology took over. But it wasn’t part of the original plan. Do you believe the support the Railers have received has been helped by your other business interests in the city? What’s the status of the tavern? 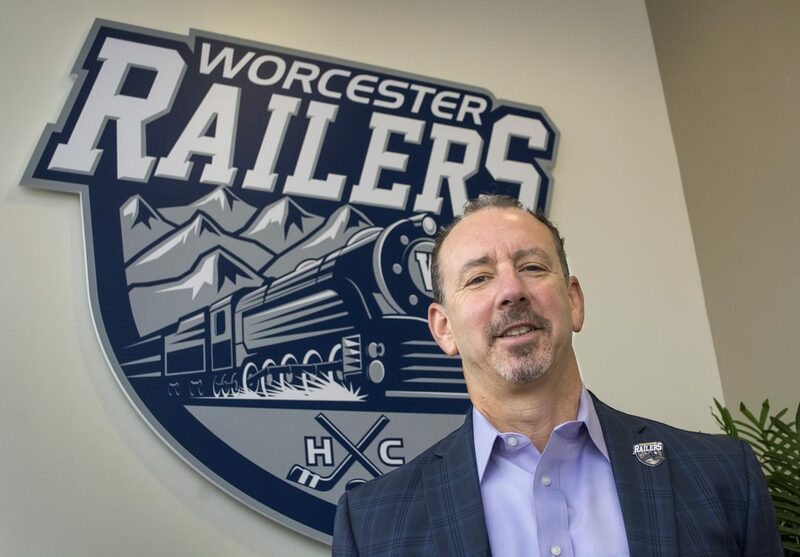 Cliff Rucker, owner of the ECHL’s Worcester Railers, is turning 90 Commercial St. into Railers Tavern. What is the status of the former St. John’s High School? So if you were to receive that waiver would you have that down by the time the Ice Center opens? That land also includes the current Compass Tavern. You have two restaurants in the Worcester Ice Center. Where does that building and the business occupying it fit into your plans? Is the Ice Center on track for an August opening? It’s been reported that you’re considering in the long term a hotel on the site of the former St. John’s High School. What would need to happen for that to come to pass? You leased space for your team at The Edge at Union Station, but leasing hasn’t been your M.O. Is it your long-term goal to buy and renovate, or build your own building for your players? Let’s back up a bit. Was St. John’s ever on the table [for player housing]? With all your other business interests in Worcester, does the commercial success of the Railers still define your success in Worcester? Really? Someone who’s been that successful doesn’t look at it that way? “Again, what does it mean to be successful? To me it’s I’ve got five wonderful children, I’ve been married to a great woman, we’ve been together 30 years, I’ve got my health, I’ve got my marbles. So that to me is success. In interviews, you’ve spoken about the desire to bring people to downtown and you’ve spoken about the desire to see more retail, including “eclectic retail.” Why is that important? “I think it’s important for people to have the ability to do stuff. … You want to walk around, shop and look in the window and go to an art studio, and walk around a vibrant downtown and have fun. That’s what draws young people to the city. That’s what I think. I’m not an expert, I’m not an urban planning expert, but I know when I visit … I have a boat and in the summer I’ll take it up to Portland and I’ll walk around downtown Portland. I can walk around downtown Portland for five hours and not get bored. I’m not sure you could do that on Main Street right now in Worcester. I think you’re going to get bored pretty quick; there’s not enough stuff to do. So I think that just is a component of a vibrant downtown area. But that hasn’t generally been in your wheelhouse, downtown urban development. Is that something that’s been an evolution of your focus or does all this play into the sustainability of a Railers hockey club? “So there’s nothing that I’ve done in Worcester in the past two years that is in my wheelhouse. All of it’s new to me. 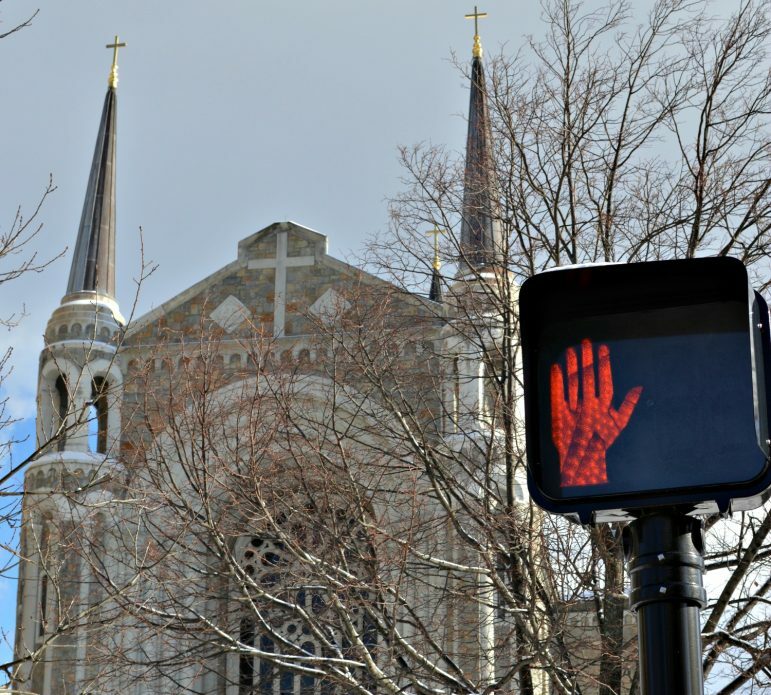 But it became apparent to me as I spent time in Worcester — I spent a lot of time in Worcester, a lot of time at night, and a lot of time by myself at night, and what I noticed very quickly when I walked around downtown at night, there’s nothing to do. There’s no stores that are open except for one or two restaurants. There’s no retail downtown, there’s nothing like that. So I didn’t come at this from an opportunistic real estate developer standpoint. I came at it as a guy, a person walking around saying, ‘Man, there’s nothing down here.’ That’s all it was. The renaissance of downtown has made strides in the past few years. In addition to the work underway, there’s the Worcester Redevelopment Authority’s Downtown Urban Revitalization plan. Are you familiar with that? That plan has about two dozen properties listed for redevelopment, including as two adjoining properties 12 Front St. and the Midtown Mall. Are you familiar with those? It’s not part of the downtown revitalization plan, but there’s been another building recently in the news that people are trying to save, which is Notre Dame des Canadiens Church. Some say it is impeding downtown development, some say it would enhance development. Has that been put on your radar? You’ve been quoted as saying, “I’m not done.” What does that mean, additional properties, additional businesses? [Laughs] “I hope that is an all-encompassing statement. I’m trying to think of the context specifically of what I meant. I think I meant I’m not done being involved in projects in Worcester. And that’s unequivocally the case. … The genesis of this was a minor league hockey team, and that’s been going on for three years. But really in terms of getting more involved in the community in different projects, different real estate projects and business opportunities, I’ve really only been doing that about a year.